Use this unique tatted bookmark as the way to keep your place in a favorite book, or as a thoughtful, nostalgic gift. This tatted bookmark would be a great gift for an avid reader, or anyone who appreciates the thoughtfulness of a handcrafted keepsake. What a great way to save your place in any beloved favorite book! A tatted bookmark makes the perfect gift for book lovers, Christmas, teachers, graduations, birthdays, weddings, baptisms and more. 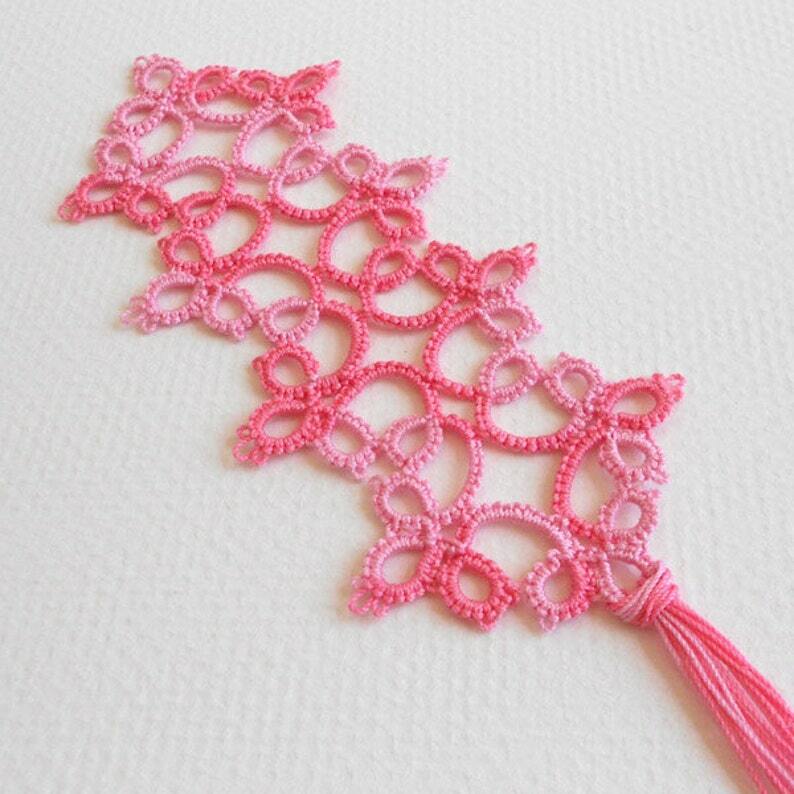 Tatting is the technique of knotting thread into lace that is very delicate in appearance, yet is exceptionally strong and durable. This tatted bookmark is handmade with a tatting shuttle by me using only the highest quality threads. Each knot is uniform, firm and made to last. Beautiful bookmark...my Mom loved it! A+ ALL AROUND! BEAUTIFUL ITEMS! Ordered in solid purple - it's beautiful and the workmanship is exquisite. Very pleased - will be back! Exquisite workmanship - so impressed with the beauty and delicacy of these bookmarks - this is my fourth purchase from this shop - very pleased with each one!